It wasn’t until graduate school that Michelle Joan Wilkinson, director of collections and exhibitions at the Reginald F. Lewis Museum of Maryland African American History & Culture, realized that becoming a curator could be a viable profession. She now hopes the Andrew W. Mellon Foundation’s recent announcement of a diversity initiative to provide curatorial training to college undergraduates from underprivileged backgrounds will lead to more possibilities for diversity in museums, especially at the curatorial level. Economic disadvantages are a silent killer to diversity since most museum internships are unpaid, thereby leaving poor youth without the financial incentive and support to work and gain an entry-level opportunity in museums. The two-million-dollar pilot program aims to address this iniquity by providing twenty students with $10,000, each summer for four summers to participate in museum internships. The program debuts next year at the Art Institute of Chicago; the Los Angeles County Museum of Art; Nelson-Atkins Museum of Art (Kansas City); the Museum of Fine Arts, Houston; and the High Museum (Atlanta). But if philanthropic organizations like the Mellon Foundation realize the issue of diversity and are doing something about it, why then aren’t museums being more proactive to increase diversity within their ranks, especially when according to the American Alliance of Museums, 80% of the museum workforce is white? Part of the answer involves changing a system that is forced to often operate in the future and not fully in the present, according to Namita Gupta Wiggers, director and chief curator of the Museum of Contemporary Craft. With limited time and resources devoted to increasing diversity many museums often hire internally for curatorial and other advanced positions. The issue then becomes a self-perpetuating cycle of exclusion as the virtually homogeneous pool of candidates in existing museum staff positions are the ones being actively recruited. To address this reality Wilkinson and Wiggers agree that diversity initiatives should also focus beyond college-level students (a pool that may pose its own elitist issues) to reach high school youth. “There are a number of midsize and small museums doing terrific programming with teenagers. So I think it would be great if the Mellon Foundation were also looking at these institutions and working on smaller budgets to support their practices so that fifteen to twenty years from now we won’t have this conversation,” said Wiggers. Dexter Wimberly, independent contemporary art curator and entrepreneur, posits that institutions take it one step further to create programs that support the development of independent curators. Outside of a brief position as director of communications for The Museum for African Art (where according to him most of the staff were not African-American or African) Wimberly has not held an in-house position at a museum. 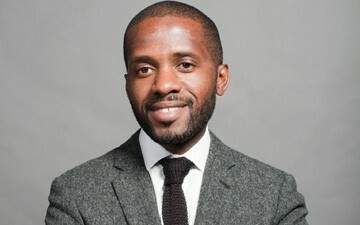 Still he has successfully collaborated with various institutions and galleries such as The Museum of the Contemporary African Diasporan Arts and Driscoll Babcock Galleries. In this capacity he has opted not to wait for the museum system to change but instead is forging his own curatorial path and pushing diversity into the conversation. The weekly column, On the “A” w/Souleo, covers the intersection of the arts, culture and entertainment scene in Harlem and beyond and is written by Souleo, founder and president of event/media content production company, Souleo Enterprises, LLC.